Check Back for Updates on the Horse Show – Coming Soon! 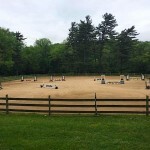 Celebrated for over 20 years, the Fairmount Park Horse Show is held in the spring each year at Northwestern Equestrian Facility. 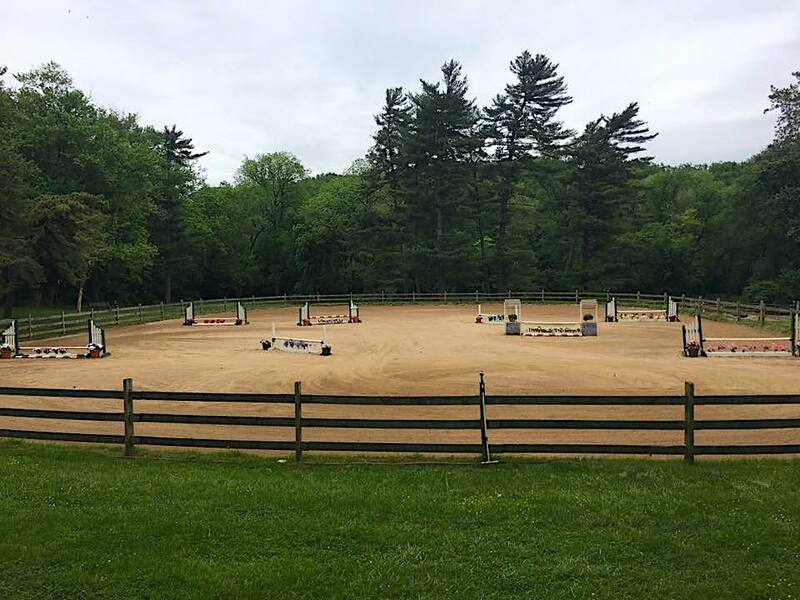 This premier equestrian event provides an opportunity for horse enthusiasts to watch students from NWS lesson program and other park stables showcase their talents in a schooling show. Riders must dress appropriately but do not need formal show attire. The show is fun for the entire family even if you don’t know a rider that’s participating! We have food and raffle prizes. Proceeds and donations from this fun-filled event help sustain our lesson and community programs. The Show Ring is ready! 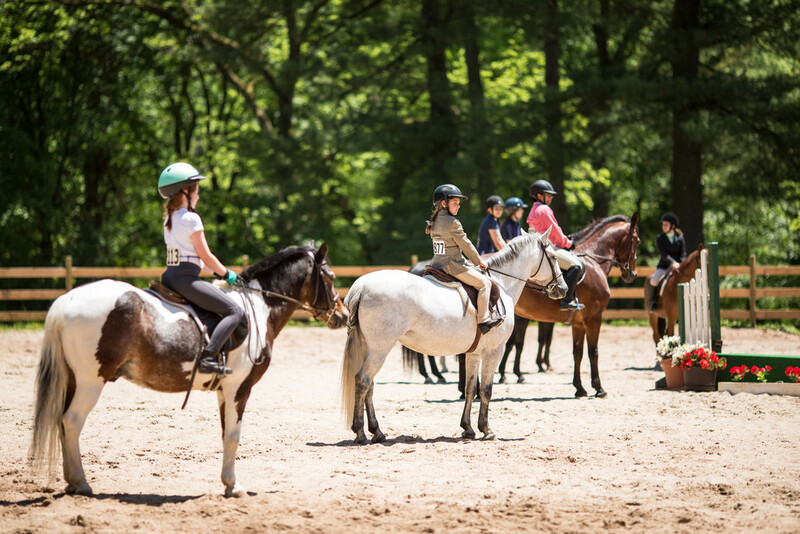 Northwestern Stables connects people with horses, creating a community that fosters leadership, responsibility, and self-confidence through horsemanship. Grooming and Showmanship: Open to all ages. May be asked to lead horses at trot. Judged on grooming, handling, and overall impression. 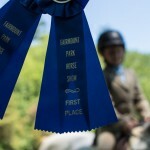 Leadline: Open to riders 17 and under. Judged on rider’s equitation, form, and position. Riders may be asked to trot. Leadline Obstacle Course: Riders may choose to ride off-leadline through obstacle course, with handler at their side. High Schooling: Open to adults and children. Jumps to be 2’6”. Low Schooling: Open to adults and children. Jumps to be 2’3”. Adult/Junior High Modified: Open to adults and children. Jumps to be 2’. Rider may not have previously competed higher than 2’6”. Adult/Junior Low Modified: Open to adults and children. Jumps to be 18”. Rider may not have previously competed higher than 2’. 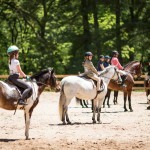 Beginner Equitation: Open to riders 17 and under. Jumps to be cross-rails, one time around the ring. Judged on rider’s position and ability to ride correctly with proper use of aids. Mini-Stirrup: Open to riders 10 and under. Courses to consist of ground poles, one time around the ring. Long Stirrup: Open to riders 18 and older. Jumps to be cross-rails, one time around the ring. Hunter Classes: Judged on horse’s way of going and overall impression of horse/rider. Equitation Classes: Judged on rider’s position and ability to ride correctly with proper use of aids. Command Classes: Judge calls out gait changes, changes of direction, etc. Riders/horses must correctly execute the command in less than 3 strides or they are eliminated. Just for Fun: Open to all riders, including leadline. Riders should be respectfully dressed wearing long pants or breeches, safety helmet & boots. All participants must sign a waiver to compete. Martingales are permitted in any under saddle or equitation class. The show committee reserves the right to alter, combine or cancel classes as needed. All decisions by the judge are final. Horses may not be tied to trees or fences. Non-NWS horses must provide proof of up-to-date Coggins and rabies vaccination in advance. Dogs must be on leash and under control. Stallions are not permitted on show grounds. Alcohol is prohibited on the show grounds. Click here for some information about what to expect during the Horse Show. REGISTRATION will open again in 2019! 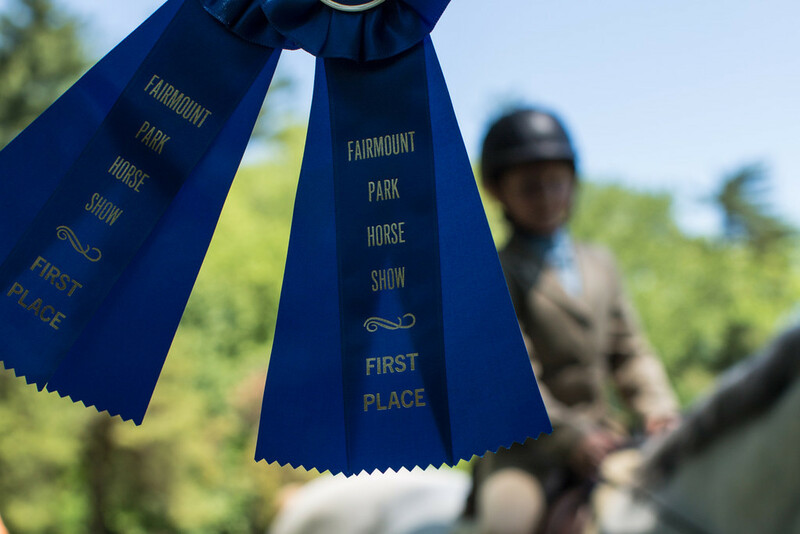 Registration for the 2019 Fairmount Park Horse Show will begin in the spring of 2019. The show is open to all NWS lesson students, boarders, and riders from local barns. This is a schooling show, rain or shine. Have more questions? Contact the NWS Barn Manager/Head Trainer Kate Brown at northwesternlessons@gmail.com.